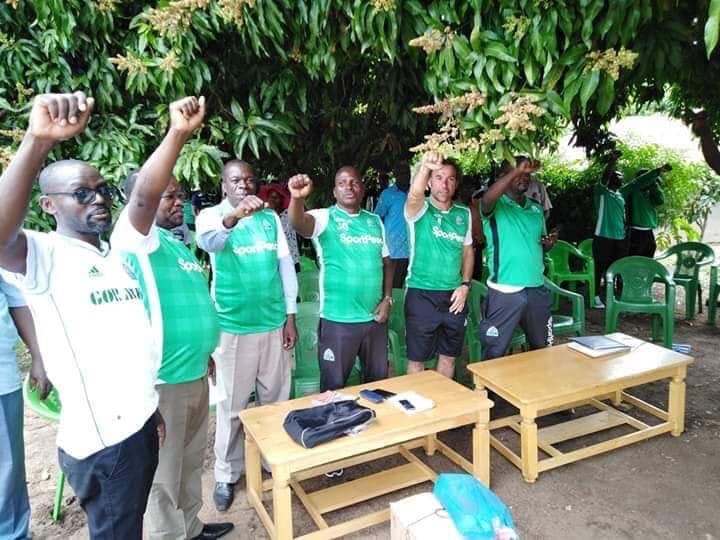 Gor Mahia players and officials visited the Shrine of the legendary Gor Makogalo for whom the club is named after. 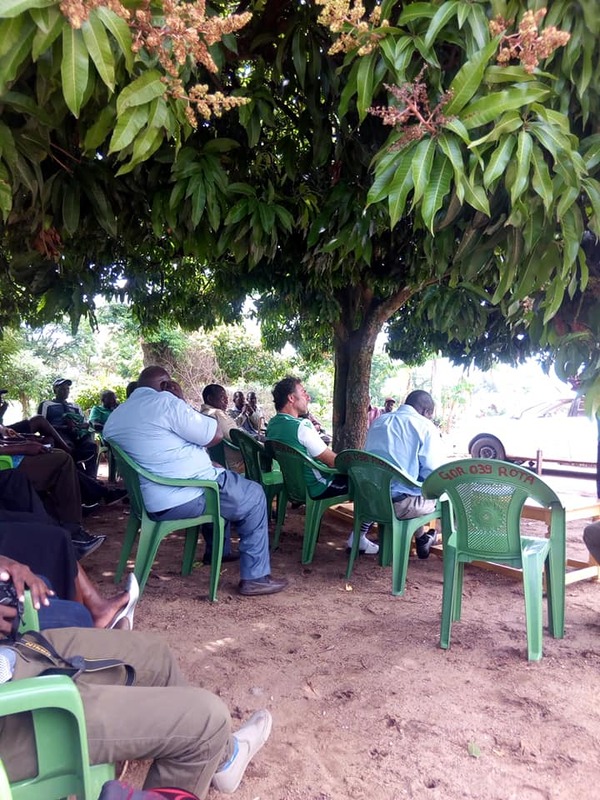 Gor son of Ogada, Grandson of Ogalo was a paramount chief. He is said to have posssesed magical powers hence his nickname “Mahia”. His shrine is located at his home in Homa Bay County, Ndhiwa constituency, Kanyamwa location. 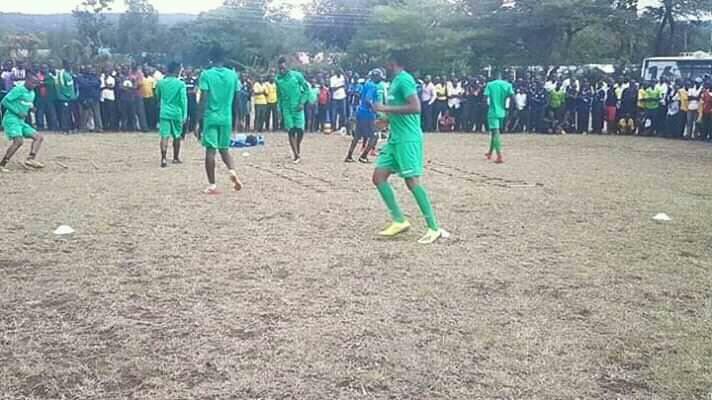 Gor Mahia on Wednesday put aside issues concerning player departures to trounce Zoo Kericho 4-0 at Kericho Green stadium. Dennis Oliech struck twice as champions Gor Mahia hit Zoo Kericho 4-0 at the Kericho Green Stadium on Wednesday to keep their dream of retaining the SportPesa Premier League for a third straight year on course. Kenneth Muguna broke the deadlock on 18 minutes before Oliech grabbed his first and Gor’s second two minutes later. Substitute Nicholas Kipkirui then stretched K’Ogalo’s lead on 79 minutes before Oliech completed his brace eight minutes from time. Oliech and Zoo’s Danson Chetambe missed penalties during the match. The win saw Gor move to second on 35 points, while Zoo are 17th on 16 points. Gor Mahia head coach Hassan Oktay said he was impressed by his side for not conceding. “I am very happy because we won with a clean sheet, that is not easy because all teams give their best when playing against Gor Mahia,” said Oktay. His counterpart Sammy Okoth admitted his side did not do enough in the match. “We never played as we expected, we failed to create chances while our opponents created theirs and scored,” said Okoth. Gor could have had a perfect start when Dennis Kawanga almost scored in his own net in the second minute after he fumbled while attempting to clear George “Blackberry” Odhiambo’s cross from the right wing. Moments later, Gor goalkeeper Shaban Odhoji was forced to leave his line early to gather the ball inside his area, as Zoo looked to record their first ever win against the Kenyan giants. Ekisa Ssekisambu missed a chance to fire the champions ahead in the seventh minute when his shot from inside the box blazed over the crossbar, before Muguna broke the deadlock with a stunning free-kick from outside the area. 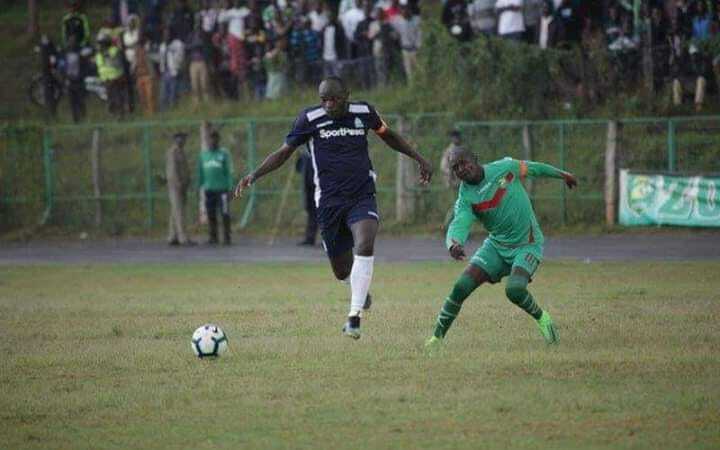 Oliech then stretched the visitor’s lead two minutes later when he connected to Muguna’s pass to beat Zoo’s goalkeeper Martin Elungat with a low shot. The hosts came close to reducing the deficit but Kepher Ondati’s header from a corner-kick delivery was cleared, before Newton Ondari’s shot from the rebound a few moments later from outside the box went wide. Danson Chetambe failed to beat Odhoji from the spot after Samuel Onyango handled the ball inside the box. Odhoji parried the latter’s heavy shot to the disappointment of the home supporters. Gor would have killed the game deep in the first half but Odhiambo failed to convert from a one-on-one situation with goalkeeper Elungat. Ssekambu was not lucky again as Elungat parried his shot 10 minutes after the restart, the goalkeeper recovering in time to clear the danger as players from both side scrambled for the ball inside his area. Oliech would have extended Gor’s advantage from the spot at the hour mark, but he blazed over the bar. Kawanga was the guilty green shirt as he fouled Ssekisambu inside the box. 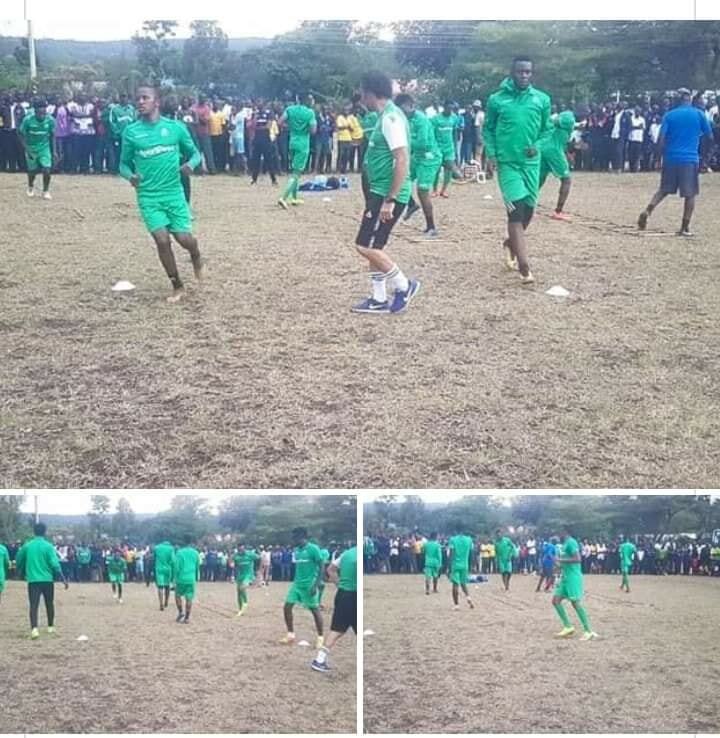 Coach Oktay introduced former Zoo Kericho man Kipkirui five minutes later, the home fans cheering him on as he made his way into the pitch to replace Odhiambo. And the forward made his former side feel his impact two minutes later after being fed by Oliech, evaded a green shirt inside the box to send a low shot which Elungat dealt with easily. Kipkirui would then do what the home fans hoped he wouldn’t. Score. The 22-year-old found space inside Zoo’s half, raced to beat Elungat to the ball before scoring in an empty net. The striker didn’t celebrate. And even before the dust settled, Oliech made amends for his penalty miss, as he connected on to cross from the left wing to beat Elungat with another low strike. Kipkirui would have also scored a brace but Elungat denied him three minutes to time. 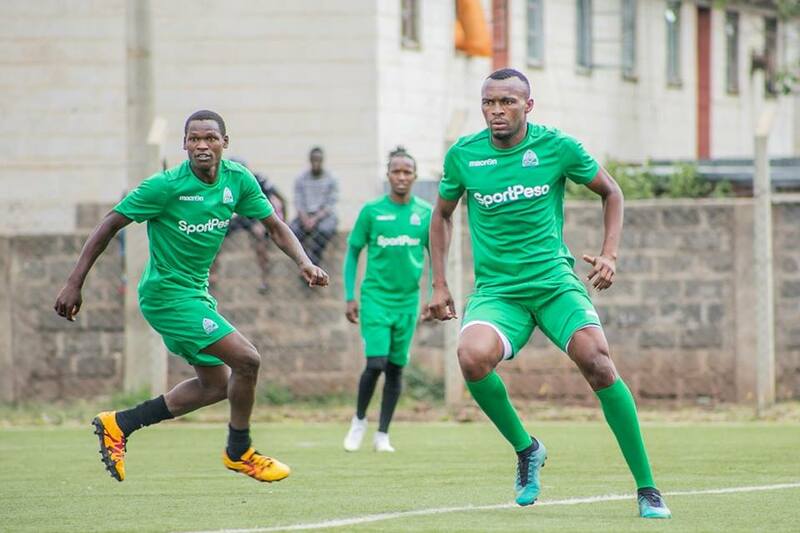 Gor Mahia will resume their 2018-2019 Sportpesa premier league campaign when they play at Zoo Kericho on Wednesday. They will be without leading scorer Jacque Tuyisenge who is said to be in Tanzania. According to reports in Tanzanian papers, Tuyisenge is in Dar es Salaam to sign with Simba. Nevertheless Coach Hassan Oktay is optimistic that Tuiysenge will return. Against Zoo Kericho, Kogalo will need to contend with fatigue. “Fatigue is finally getting to my players what with all these matches and to make it worse some of my players have returned from international duty with injuries and we could miss six of them today. With Tuyisenge gone, Oktay will need to rely more on players like Kikpkirui, Sekisambu, Samuel Onyango, Oliech and and Mustafa. “The important thing is to ensure that we give our best and if we do that then I am sure that we shall win matches because we have a good squad both in the starting team and in the reserves bench,” Oktay said. 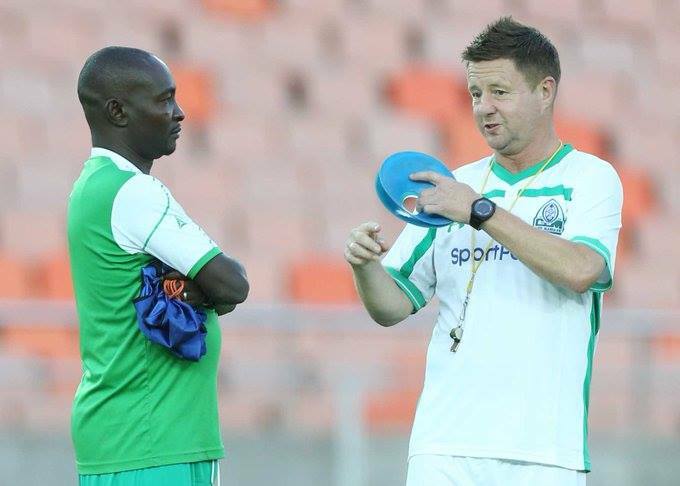 Speaking to the Sun newspaper in the United Kingdom, former Gor Mahia coach Dylan Kerr has described the appalling conditions he had to ensure as Gor Mahia coach. He first decried the appalling conditions of the playing surface of KPL venues. Kerr also described how players often went without food because their salaries were not paid on time. “Six of my players got jobs in work-yards because they couldn’t afford to eat. One lost 8kg as he wasn’t eating. He noted that players went on strike during the last six matches of the season. 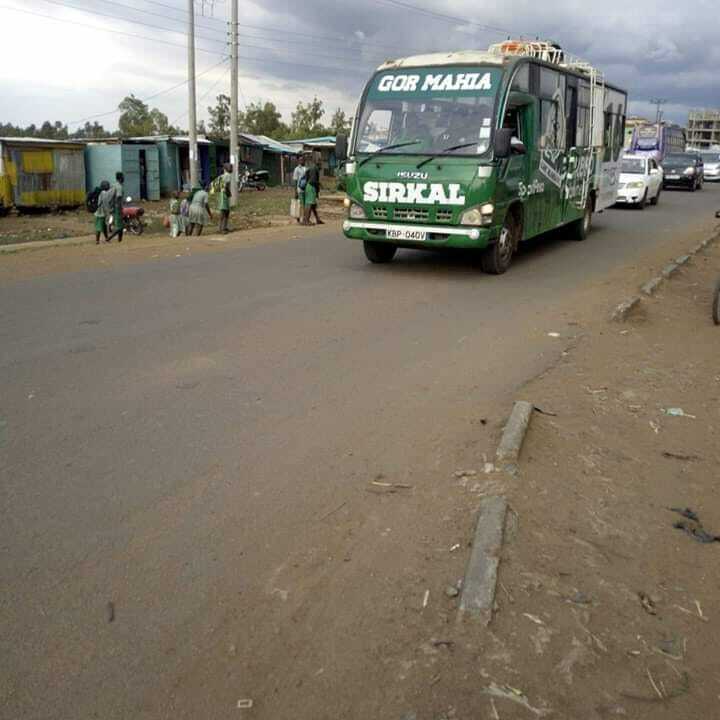 Gor Mahia will travel to Kericho to play Zoo Kericho on Wednesday March 27. On Saturday they will return to their spiritual home of Kisumu where they will play Kariobangi Sharks. Gor Mahia central defender Joash Onyango was one of the best players on the pitch on Saturday as Kenya lost 0-1 to Ghana in the last qualifier for the 2019 Africa Nations cup. Joash has seen very little playing time at Kogalo especially after he went down with an injury. On Saturday he proved that he has recovered. Coach Migne selected him ahead of the experienced duo of David Owino “Calabar” and Brian Onyango Mandela. Other Gor Mahia players who featured were Philemon Otieno and Francis Kahata. Kahata had a quiet game. Mbish had a torrid time keeping up with the Ghana winger and will have learned a few lessons today. Former Gor Mahia players Eric Ouma “Marcelo” and Musa Mohamed also played. Matasi will however live to forget the manner in which he conceded the goal. 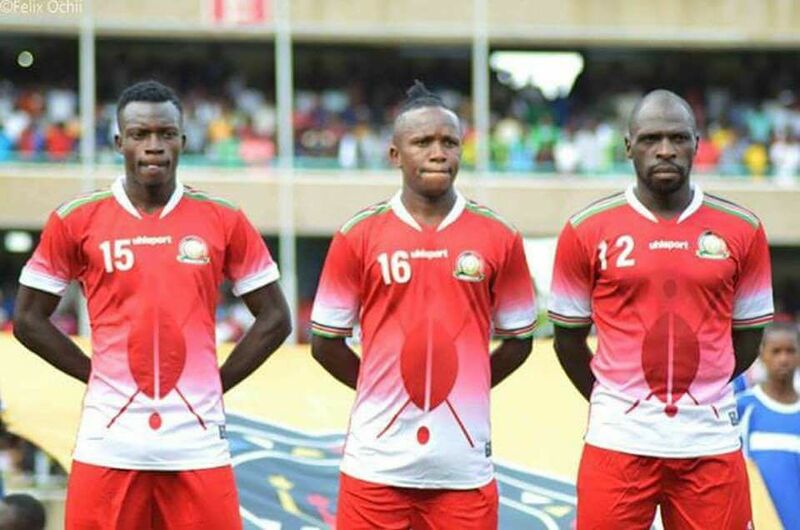 Ekuban’s shot slipped through his arms before finding the back of the net, after the Kenyans seemed headed for a historic draw which would have ensured they remain top of the standings. Ghana finish top of the group on nine points, two ahead of Sebastien Migne’s Kenya. The goal heart broke the Kenyans who had put up a plausible performance away from home. Gor Mahia coach Hassan Oktay has admitted that the club is on the verge of losing lead striker Jacques Tuyisenge. Goal reported on Monday that AS Vita Club has renewed their interest to sign the Rwandan striker after their initial bid was knocked down in January. 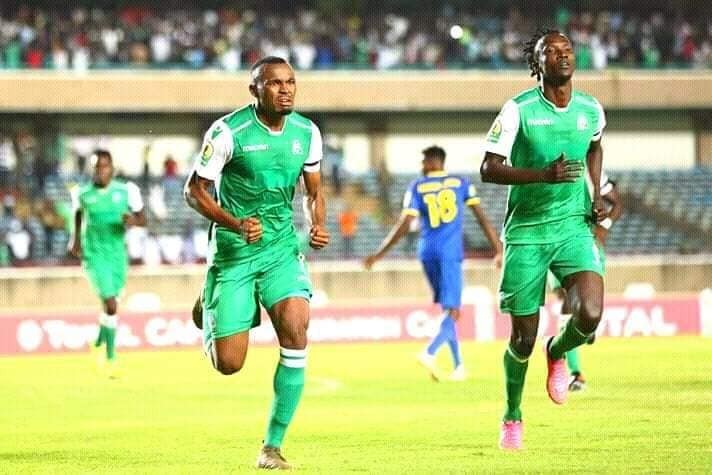 The DR Congo giants have already approached Gor Mahia for the services of the striker, who scored the winning goal, as K’Ogalo reached the last eight of the Caf Confederation Cup. Oktay has urged Gor Mahia to speak to the player and tie him down to a long term contract or else they will lose their ‘best player.’ “I know several clubs are fighting to sign Tuyisenge, it is not a secret anymore, even teams from Europe have approached Gor Mahia for his services,” Oktay revealed to Goal in an interview. Tuyisenge moved to the Kenyan champions in February 2016 after captaining Rwanda national team Amavubi to quarter-finals of the 4th African Nations Championship (Chan) finals, which was staged in Rwanda. The DR Congo giants have already approached Gor Mahia for the services of the striker, who scored the winning goal, as K’Ogalo reached the last eight of the Caf Confederation Cup. Oktay has urged Gor Mahia to speak to the player and tie him down to a long term contract or else they will lose their ‘best player.’ “I know several clubs are fighting to sign Tuyisenge, it is not a secret anymore, even teams from Europe have approached Gor Mahia for his services,” Oktay revealed to Goal in an interview. “I want to plead to the office to tie him down to a new contract because the offers he is receiving from Europe and Africa are very enticing and he could move. “He is a professional player, a very decent player, one of the best strikers in KPL and I would like to work with him for longer at Gor Mahia.” Tuyisenge moved to the Kenyan champions in February 2016 after captaining Rwanda national team Amavubi to quarter-finals of the 4th African Nations Championship (Chan) finals, which was staged in Rwanda. In its illustrious history, Gor Mahia has played against three teams from Egypt, one from Tunisia, one from Libya and two from Algeria. But never has Gor Mahia faced off with a Moroccan side. The clash with RC Berkane on April 28 will be the first. 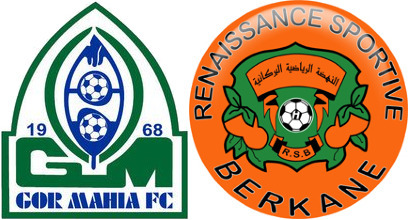 Renaissance Sportive de Berkane was formed in 1938 and is based in the city of Berkane in Northeastern Morocco. They have been one of the revelations in the 2018-2019 CAF Confederations cup. They qualified for the CAF cup by virtue of winning the 2018 Moroccan cup. They don’t have much of a history in African competition or even in the Moroccan league where they were promoted back to the top flight in 2012. In the group stage, they topped a group that had two more illustrious teams from Morocco: Hassania Agadir and current defending champions Raja Casablanca. AS Otoho of Congo-Brazzavile was the other team in the group. Berkane were impressive, collecting eleven points and assuring top spot in the group with one game left. Most impressive were their 4-2 win over defending champions Raja Casablanca and the 3-0 win over AS Otoho. Their domestic form on the other hand is poor. They are currently in 9th place in the Moroccan league standings, well behind league leaders Wydad Casablanca. Last season they were 9th at the end of the season while in the season before that, they finished fourth. Their most dangerous threat is Togolese striker Kodjo Laba who has scored 5 goals in the competition including a double against Raja Casablanca. Laba has also played 23 times for the Togolese national team, finding the back of the net 11 times. The other dangerman to watch is midfielder Alain Traore. The 30 year old Burkinabe international spent a lot of his younger years in France, playing for Auxerre, Lorient and Monaco. He also spent a season in Turkey playing for Kayserispor followed by a season at top Qatari side Al Markiya. RC Berkane have no players in the Morocco national team which is comprised largely of French, Belgian and Dutch players of Moroccans descent. The CHAN cup is reserved for home based players. In the 2018 Morocco squad, there was one RC Berkane player (Ayub al Kaabi). He has since left the club to go play in China. Gor Mahia advanced to the round of 16 in the 2019 Sportpesa Shield. This after beating Kenpoly 4-0 at Machakos on Wednesday. Ugandan Erisa Ssekisambu bagged a brace, before Nicholas Kipkirui and Eric Ombija added their names to the score-sheet with a goal each. “It was a learning experience for us and we are lucky that we met Gor Mahia for the second time. 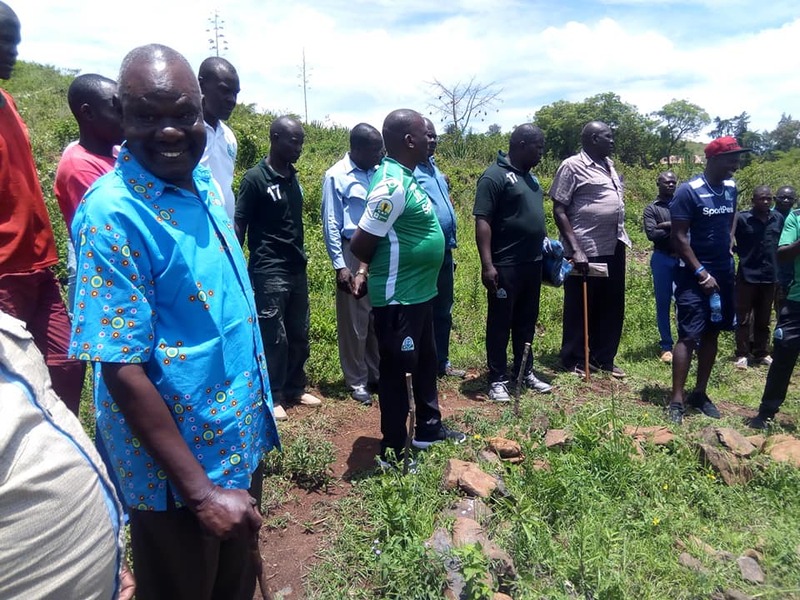 Last year we conceded five, but went on to play well in the county league to earn promotion to the fifth tier,” Kenpoly sports coordinator Geoffrey Matayoh said ON Wednesday. “We hope that next time we can beat them in a cup competition,” he added. 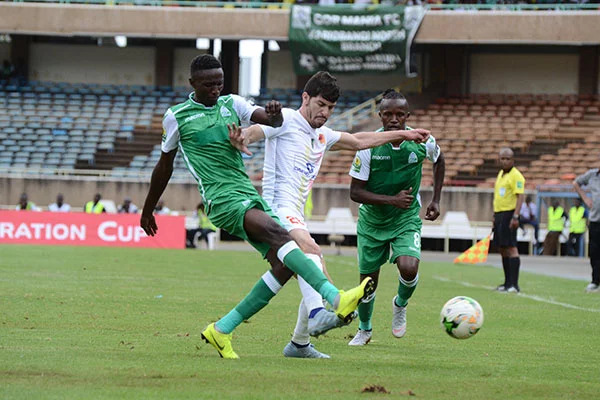 The match had been scheduled for last weekend, but was pushed forward to allow Gor play Petro Atletico from Angola in the final group game of the Caf Confederation Cup last Sunday. Kenpoly shift their focus to their next league match against Tusker Youth slated for Saturday at Ruaraka grounds. 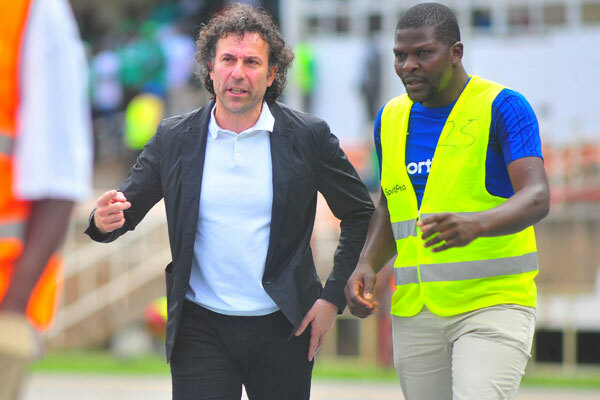 Gor Mahia coach Hassan Oktay attributes the team’s improved performance after a poor start to the fact that the team has now adjusted to his tactics. “I put my own philosophy and it has worked and I believe they are going to get better. Even in our first game in our loss against Bandari, I said we going to get better and you can see that happening every day,” Oktay said after the Petro game. Oktay further thinks that the previous coach Dylan Kerr benefited from the foundation laid by the previous coach Ze Maria. Gor Mahia open their 2019 FKF cup campaign against Kenpoly on Wednesday. 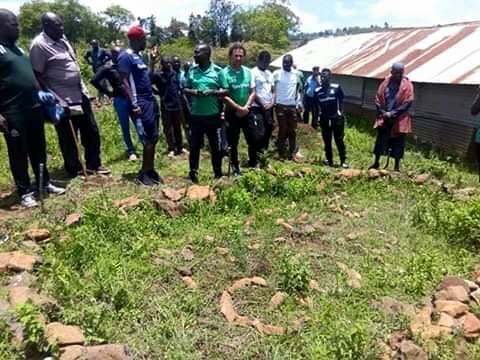 Gor Mahia coach Hassan Oktay said in a press conference that Gor Mahia is still in the stone age as far as technology. He says other teams in Africa such as Zamalek have technology to track key statistics like how much distance is covered by each player, how many touches they have, how many passes they complete etc, how many tackles they make. All these are crucial in assessing a player’s performance.